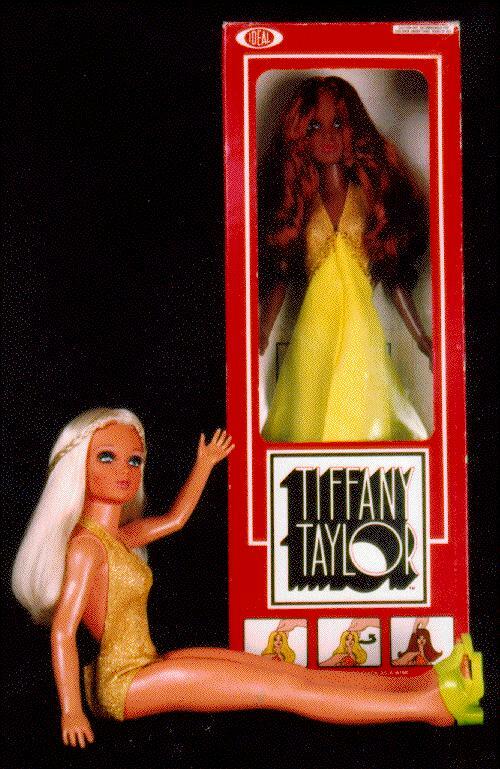 2 Tiffany Taylor dolls, by Ideal, 1976. White doll, seated, is wearing original swimsuit and shoes. Black doll is NRFB, graphics on front of box show how you can change her haircolor !! Doll is 19 inches tall.